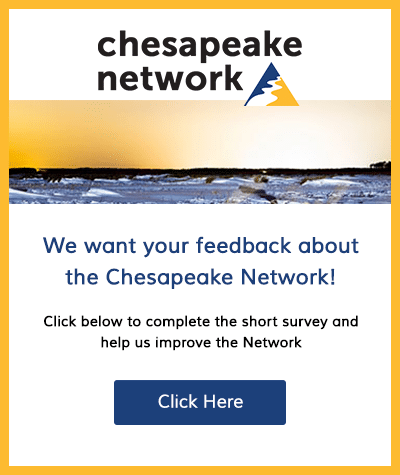 Please join us at Jug Bay Wetland Sanctuary’s Glendening Preserve for a celebration of all things monarch! The festival will feature fun for the family – face painting, crafts, games, and a monarch pinata. We will also have opportunities to participate in citizen science, including monarch tagging and NABA Butterfly Count. 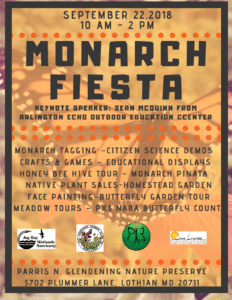 The day will also feature a keynote by Outdoor Educator and monarch enthusiast, Sean McGuinn from Arlington Echo Outdoor Education Center. Monarch Fiesta will be held Saturday, September 22nd 2018 from 10:00am – 2:00pm. 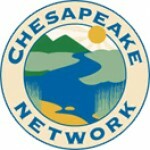 Glendening Nature Preserve is located at 5702 Plummer Lane, Lothian, MD 20711.